The weather is warming up and berry season is finally here. 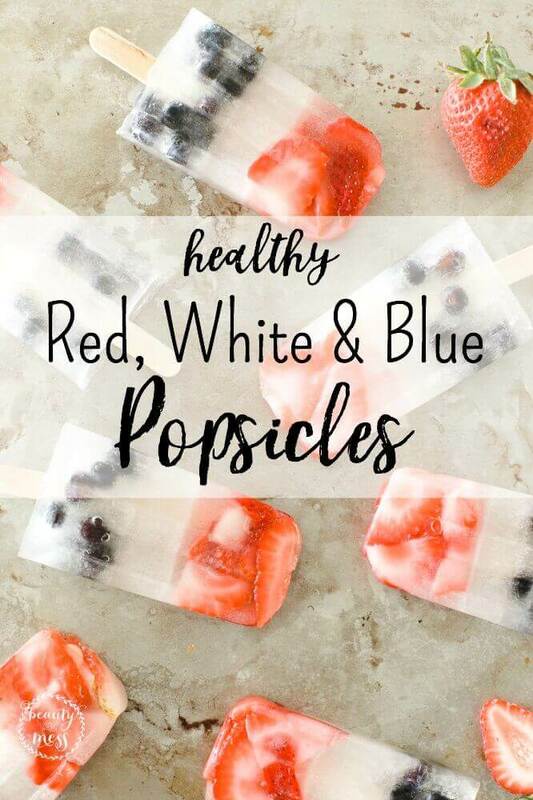 What better way to cool down this Summer than with a patriotic-inspired red, white and blue Strawberry, Coconut Water & Blueberry Popsicles? 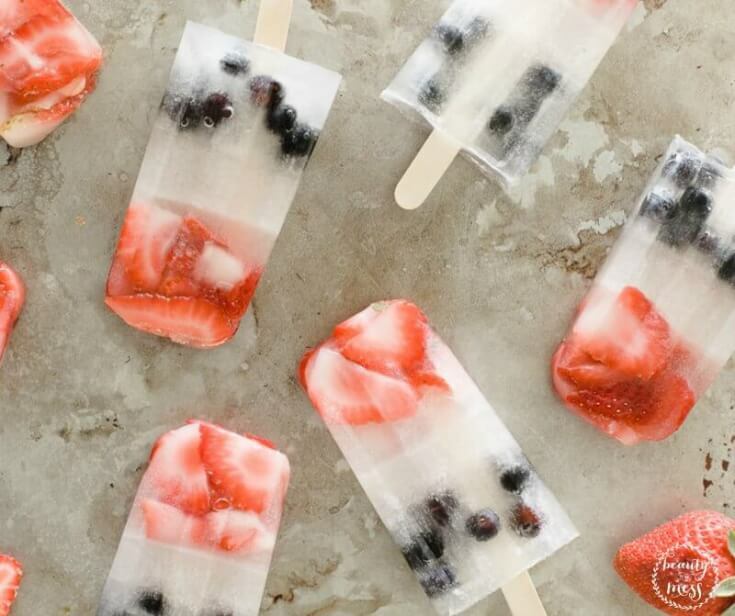 These popsicles are easy, delicious and super healthy with no processed sugars, no preservatives and filled with whole fruits! Perfect for kids to get involved with making and to enjoy eating. Plan ahead as these do need to be frozen in three stages to ensure the fun striped effect! Makes 10 popsicles. Affiliate links have been used in this post. 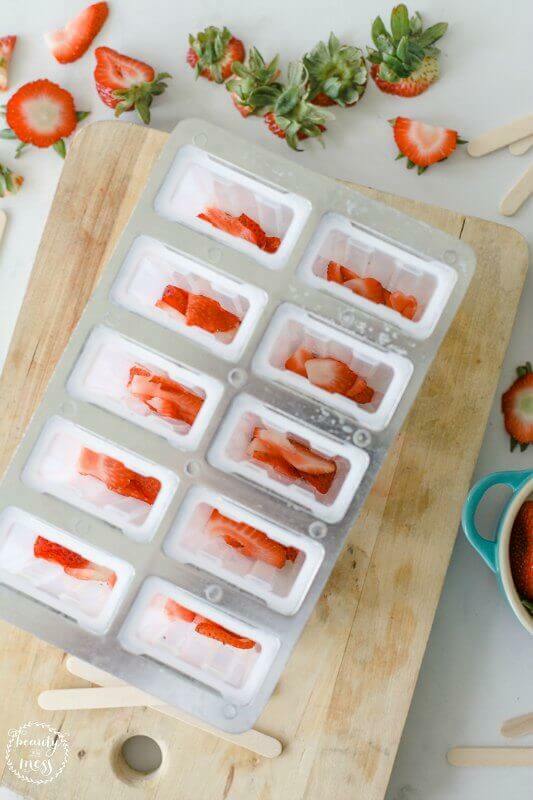 Wash and slice strawberries in varying thicknesses and sizes. 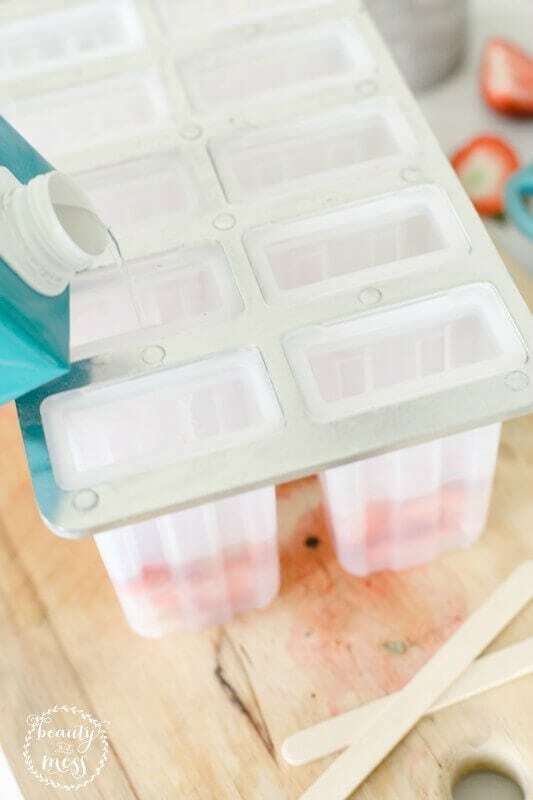 Press into the bottom of the popsicle molds – make sure you really pack them in so that they do not float around. Depending on your mold, this will be about 1 ½ inches deep. 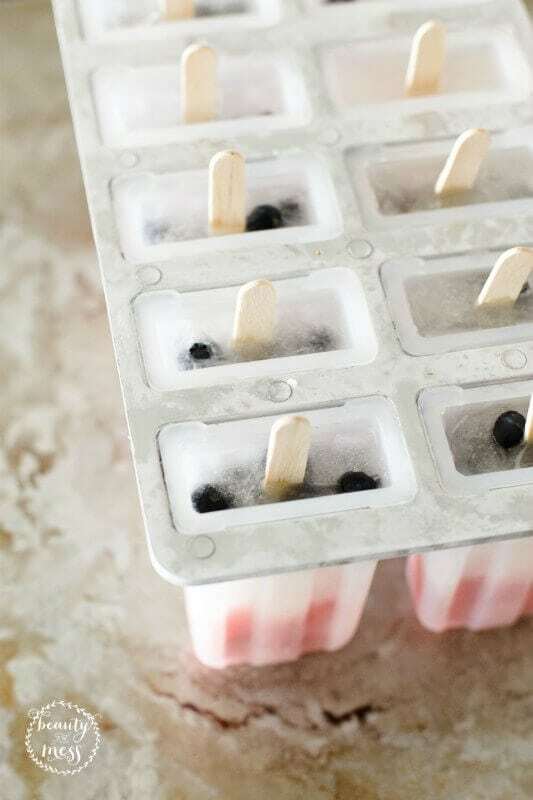 Insert popsicle sticks and freeze until hard. 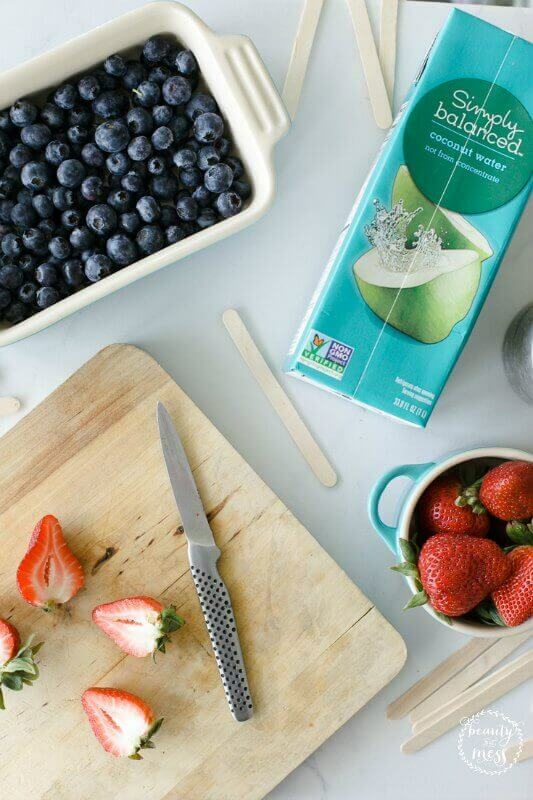 Pour another 1-1 ½ inches of coconut water alone and freeze again until hard. 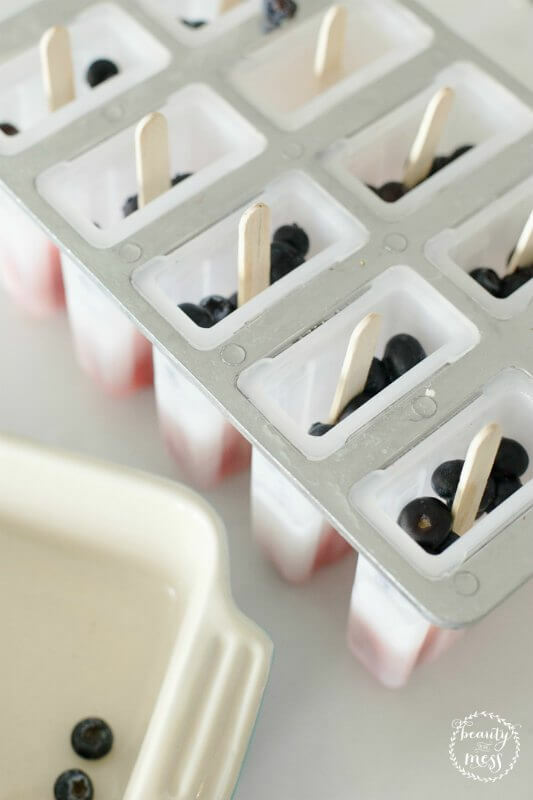 Press blueberries into your popsicle mold until you reach the top of the mold. Pour coconut water until it reaches the top of the mold. Freeze until hard. 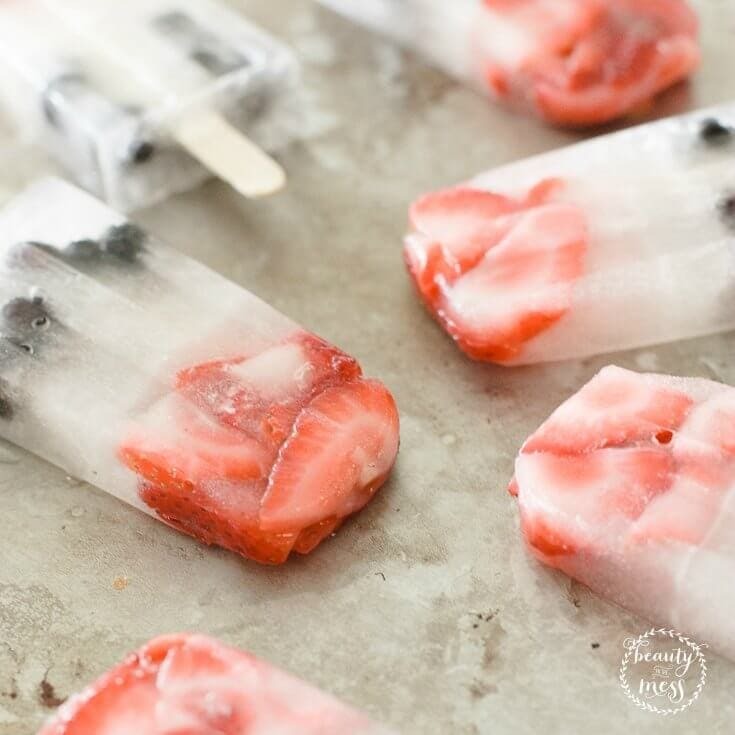 When ready to serve, allow to that slightly or wrap each popsicle in the mold with a warm dish towel to loosen. 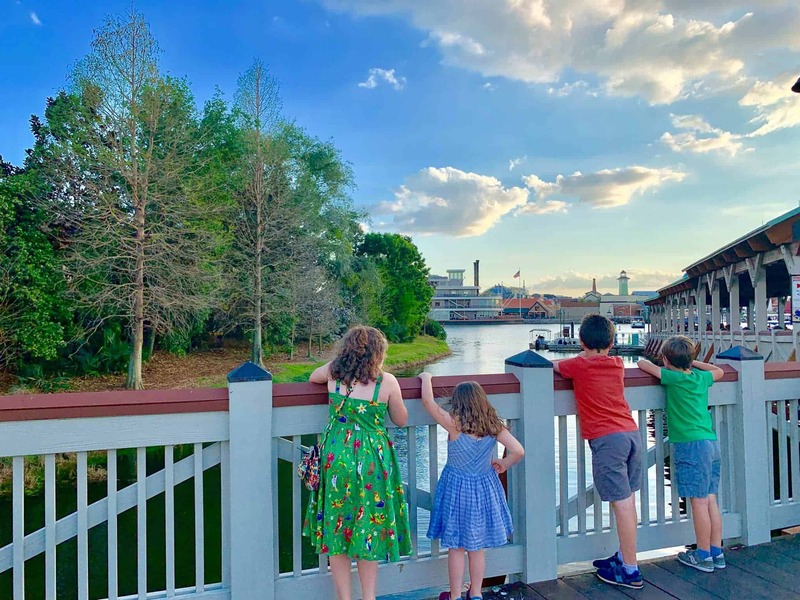 Whitney is an Orlando Blogger. Mommy to four children. Jesus follower. Lover of coffee, gluten-free donuts, and all things Disney. 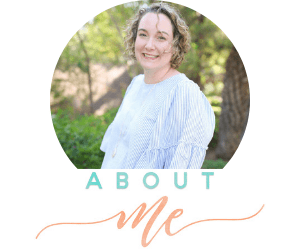 Whitney enjoys sharing real-life stories about motherhood and giving real solutions, letting moms know they are not alone.